Nearly a year and a half ago, when I stepped into this field, I could’t even imagine how impressive the videochat industry can be. Although I had a slightly idea of what videochat is (because I like to be tuned in to what is going on around me and I do a lot of research before I make or express an opinion), I have to say that I was pleasantly surprised. My work experience for the last seven years has been focused around the Romanian music showbiz. I have worked with famous artists and I was part of big event organizing teams. I have “tasted” from the highest level of professionalism in Romania, so I am pretty sure I have a term of comparison. I thought that within the videochat industry things were superficial. A bunch of girls in front of a computer, some well positioned lights and a good internet connection, right? Wrong! In addition to an entire infrastructure specific to professional studios (photo-video, PR, IT, human resources, accounting, etc. ), there is also a department specialized in communication and relationship with partner sites. What does this mean? It means that trainers and studio managers work closely with those responsible for the various functionalities of collaborative sites. The role of the link between the studio and the site is that of managing and quickly solving various problems that may arise during an online session but not only: a collaboration is truly fruitful when joint projects are born. The goal is to improve the manager`s and the model`s knowledge, and to improve also the understanding of the mentioned-above`s needs by the sites. And, as we like to constantly update ourselves, and also to perform our work at another level, we set up with Stripchat, our valuable partner, a meeting. Not anywhere, but at their head office in Cyprus. We decided to take advantage of this opportunity and spend almost a week of teambuilding in Cyprus because we couldn`t stand the idea of spending just two days in a place like that. What did that mean? Perhaps for the first time in the history of videochat studios in Romania, we headed to Cyprus with 15 employees of which 11 models and 2 people responsible for the photo-video activity. 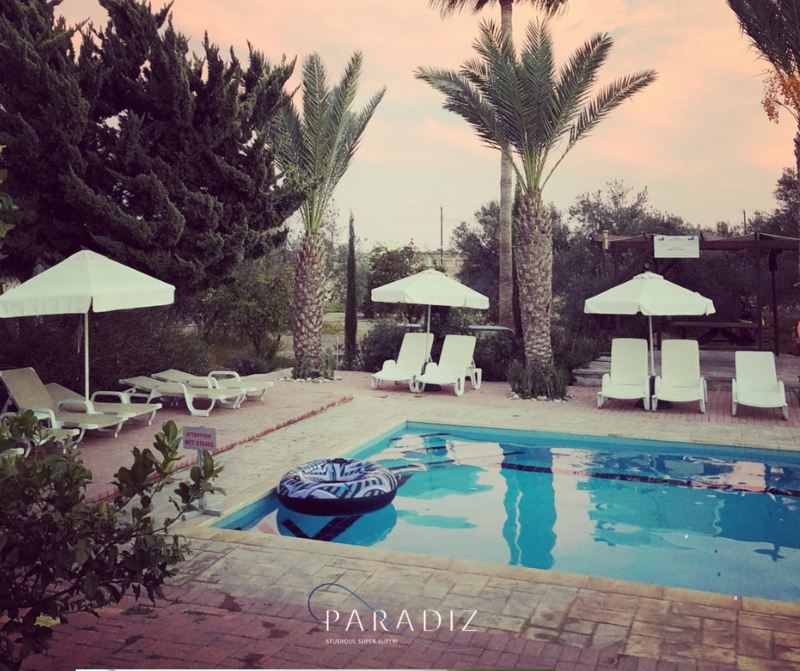 We rented some luxury villas in the heart of Larnaca where we spent a few days full of activities, both recreational and job-related. What exactly did we do? Each model has had a photo session and a video sessions in exotic locations, but we have also consolidated the team. There was no time for monotony, because during the day our attention was focused on creating special content for our models, then we continued until late at the night with parties. I think one of the only downsides of this trip was the lack of sleep. We wanted to do so much, so we gave up on our hours of sleep. Personally, I have never seen such a close-knit team and such respect for the work ethics anywhere else but in Paradiz. Just to keep it funny: tanning at the pool is considered work too, right? Yes, it can be. When working requires taking pictures at the poolside. Still, of all the days spent there, I can easily say that the most beautiful day was the Stripchat day! Because Paradiz is one of the biggest Stripchat partners in Romania, we had the honor of bringing the first models in the world to attend the certified model course. The visit to their head office started with a tour of the buildings and culminated in a free discussion of site features, tips & tricks with top executives, Dmitry Breeze – CEO, Rick Morales – Business Development Manager and Michael Kaljouren – Head of Support. 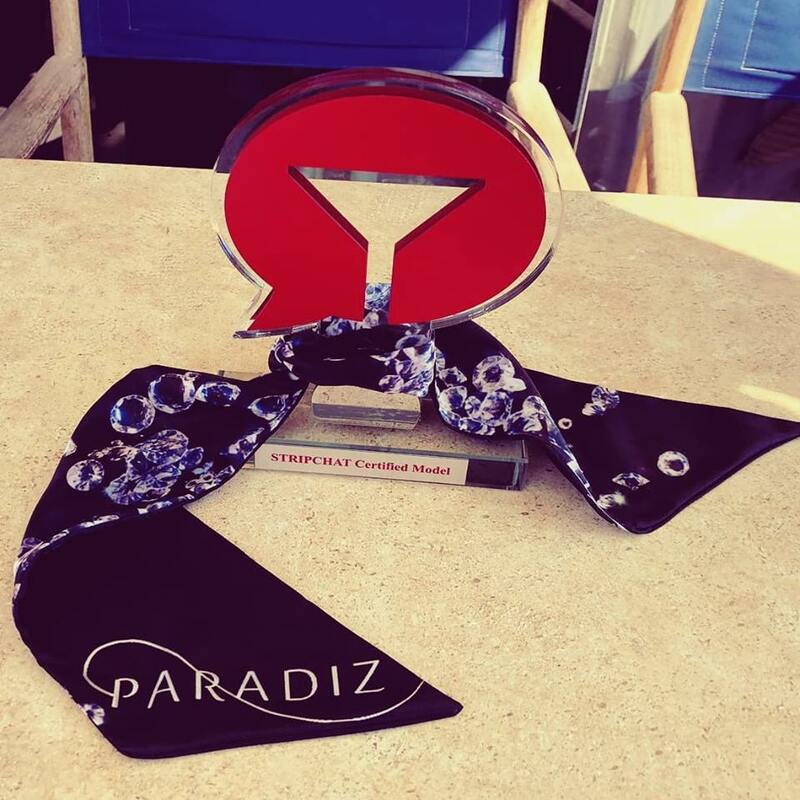 At the end of the session, each Paradiz model received a trophy that stands as proof that they are certified Stripchat models. But as neither Paradiz nor Stripchat ever settle for less, we continued the day in the Mediterranean waves, on a gorgeous yacht. Champagne in crystal glasses and fine cheese. I can not tell you more. What happens on Paradise x Stripchat yacht, stays on the yacht! We can only embrace the business similitude of the two companies: work is work, fun is fun, and mixing the two always results in progress, in a sincere desire to give more,be better, but in a clever way! The day ended in a famous Mediterranean restaurant where we tasted seafood and Cypriot specialties, but maybe the most important thing was that we also enjoyed the presence of Alex Hawkings, partner, co-founder and owner of Stripchat! And because the people in Paradiz do not enjoy just having fun, during the dinner we exchanged information and opinions, and our models have been enlightened to the last detail with a warm, so rare encounter opening! After this experience we got home more united, more informed, with thousands of photos and videos, being witnesses of five memorable days! The experience was fruitfully and we are glad that we have a strong partner like Stripchat! We liked it a lot, we want some more, so, most probably, we will do it again next year!